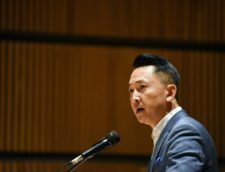 In this article for the Daily Bruin, Kristie-Valerie Hoang interviews Viet Thanh Nguyen and reports on the Vietnamese-American identity and struggle in California. Quyen Di Chuc Bui spent three nights in a Santa Ana parking lot when he first moved to California. During his arrival to the Golden State, the winter nightfall and its 50-degree breath contrasted the sweet, tropical air that he knew from Vietnam. The UCLA lecturer of Vietnamese language had no family in Orange County, nor did he speak English. But he slept soundly in his Cadillac, bought for just $175 on the side of a street, next to his very pregnant wife with the couple’s old blanket wrapped around her body. She was one week away from giving birth to their eldest daughter. Chuc Bui wasn’t afraid. He had nothing to lose. “Even though sleeping outside was dangerous, I didn’t have anything for anyone to steal from me. I only had one blanket,” Chuc Bui said. The couple did not bathe and used the restroom in various McDonald’s restaurants throughout Orange County. Having lost their first place of residence in California, Chuc Bui and his wife drove in search of a new one. After circling through the streets of Santa Ana and Westminster, Chuc Bui and his wife finally found a one-bedroom apartment in Tustin. Making it through another cold night in Orange County meant surviving another day in a country initially unknown to Chuc Bui and the thousands of refugees like him – Chuc Bui had fled a communist regime. At 28, he was a teacher in a Catholic school in Vietnam. The young academic was constantly under watch from the Vietnamese Communist Party, which thought he was a rebel agent, he said. He was unwelcome in his home country; the ecclesiastic scholar was an enemy of the state. Most Vietnamese nationalists were wary of Catholics, as the church was a symbol of French colonialism in Vietnam. The government kept close watch on educators, who in their teachings could “indoctrinate” children with capitalist propaganda. Most of all, a communist takeover collectivized Vietnam’s unstable and weak economy, thrusting the country further into poverty. Under the fall of Saigon, Chuc Bui knew he had to leave. 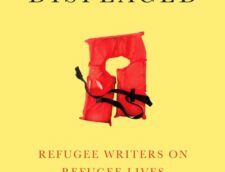 Survival, by any means necessary, defines the first generation of refugees fleeing the Vietnam War. It was an instinctive drive to not only physically live, but to also adapt to a society they did not know. “Một cuộc sống tốt hơn, một cuộc sống tốt hơn với tự do.” A better life, a better life with freedom – these whispers traveled from ear to ear. The possibility of the American Dream and escape from political and social oppression attracted Vietnamese refugees one by one to secretly escape by boat at twilight. “There was a river that led to the ocean. I used to sit there with my students and dream of a boat that would take us away together,” Chuc Bui said. There was no guarantee they would ever see their families again. Many left with just a fragile strand of trust threaded around acquaintances, friends or strangers who navigated the refugee boats toward freedom. Like many other Vietnamese-American families looking to make a living in the U.S., Nguyen’s mother and father opened a grocery store. They called it Saigon Moi, and it was the second Vietnamese grocery store to open in San Jose, California. His parents worked 12 to 14 hour days while he manned the cash register after school. “When I was growing up in this environment, I was very conscious of the difficulties that my parents were undergoing and what was happening in Vietnam, so I associate that grocery store with a lot of trial and suffering for my parents,” Nguyen said. Saigon Moi opened early and closed late. Nguyen’s parents processed the checks, the cash and the food stamps. They took inventory and cleaned shop. Running a grocery store was not easy, and Nguyen’s parents not only took care of their own children, but also sent money to support their relatives throughout the rationing economy of Vietnam. “How did they endure? I don’t know. They never took a vacation for the dozen years of really intensive work,” Nguyen said. Endless hours of manual labor were necessary to secure living basics as simple as a roof over one’s head. UCLA Asian American studies associate professor Thu-huong Nguyen-vo’s family pooled together refugee resettlement funds to rent a one-bedroom apartment in California. This apartment became Nguyen-vo’s first home in America following bleak nights in a refugee camp in Camp Pendleton. Although the new apartment marked an end to uncomfortable nights packed in cramped tents, Nguyen-vo said she and her family were afraid. Struggle loomed like an incessant, shapeshifting beast spewing financial burdens and culture shock. Refugee assistance and assimilation programs aided Vietnamese immigrants in the U.S. But physical survival was not the only struggle burdening the refugees. There was also becoming American. “Gia đình chúng tôi không nói tiếng việt.” Our family does not speak Vietnamese. According to Chuc Bui, families used to display banners bearing those words across their living rooms. It was in attempt to encourage their children to learn English. Apart from physical characteristics separating Vietnamese refugees from American society, language presented another barrier to their survival in a new nation. “When we first came here, we were so scared we wouldn’t survive. It was totally different from (Vietnamese) society, culture and most importantly, language,” Chuc Bui said. Nguyen-vo talked to herself while she spent her days at home alone, but it wasn’t to remedy the loneliness that came with her parents working in a factory. Building an armor against racism was Nguyen-vo’s first motivation for learning English. “I was so vexed by the way in which I was treated as this racial ‘other.’ It was so traumatizing that I was rehearsing in English all the different ways in which I could defend myself,” she said. They were different. They spoke a different language, ate different foods and looked a different way. They were Vietnamese, but they were not living in Vietnam. The mountain of cultural differences did not stop the refugees, however. They toiled on, beating against the treacherous waves. After all, they had families to look after – and for many, that was most important. Family stands at the helm of traditional Vietnamese culture. Vietnamese households follow an extended, multigenerational pattern. The elders are positioned at the head of the household, followed by the eldest child, the eldest child’s spouse, the second-eldest and so forth. Families lived closely – maintaining and emphasizing frequent contact to highlight the importance of the household. Obligation to this unit is not only important, but expected. “My generation only thought a lot about family. (They did) whatever they could to ensure their family was going to have enough to eat and that their kids received enough schooling. And they were satisfied,” Chuc Bui said. But it’s been 43 years since Operation Frequent Wind flew the last American helicopter out of Vietnam as Saigon fell to communist forces. Still, the stories of survival manifests across nearly 2.2 million Vietnamese individuals living in the U.S. The world is clearly much different in 2018 than it was in 1975. Little Saigon, the largest Vietnamese enclave in the U.S., spans nearly three different cities in Orange County and 4,000 Vietnamese-owned businesses. Pho has entered mainstream American cuisine, and the Vietnamese language is taught at high schools throughout Southern California. More than 40 years later, a similar narrative of survival lends itself to the second generation of Vietnamese-Americans who grew up in a more culturally diverse American society. But despite their different values and priorities, survival bridges the two groups together. These four decades established a new identity: Vietnamese-American. This group was born into a society in which institutions, dialogues and people exist to incarnate a fluid ethnicity. Asian-American studies exist as a discipline across college campuses. Asian-American representatives and candidates have entered the political realm. And of course, a blockbuster romantic comedy, “Crazy Rich Asians,” starred an Asian-American lead and an all-Asian cast. No longer were Vietnamese-Americans considered a racial “other,” falling into a larger group of people who looked and lived like them. There are four student organizations related to Vietnamese culture and languages at UCLA, as well as an Asian American studies major and minor with classes specifically focusing on the nation’s history and culture. Vietnamese Culture Night at UCLA is known as one of the largest in the country. Still, despite what institutions may exist, some Vietnamese-American students faced a culture shock of their own when they arrived at UCLA. 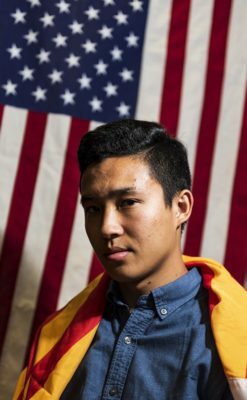 Third-year business economics student Steven Duong felt detached from his Vietnamese-American identity when he first came to UCLA. 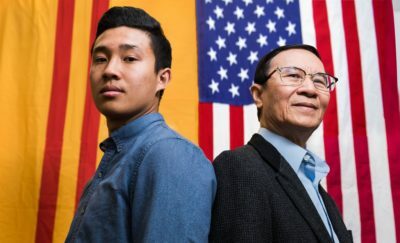 He said it wasn’t until after he joined the Southeast Asian Campus Learning Education And Retention project at UCLA that Duong was able to acknowledge his Vietnamese-American identity. “Before SEA Admit (Weekend) and SEA CLEAR, I didn’t really know what it meant to be Southeast Asian. That’s not a thing popular society really talks about because they don’t talk about those experiences if they’re not from that background,” Duong said. Duong said that he learned Vietnamese history through an impersonal narration of the wars from textbooks and teachers. However, he never felt connected to his parents’ experiences even after learning about the Vietnamese refugee story in school. “For a lot of parents, it’s difficult for them to speak to their children about (their refugee experience). And even if they do, they wait until their children are older when they think they can understand. There’s not enough dialogue between generations because of the trauma,” Duong said. Second-year political science student Amy Ngoc Ho moved from Orange County to UCLA in pursuit of higher education and independence. Her mother did not take this well. “My mom was like, ‘Oh, you want to leave me,’” Ho said. “But me moving away to college doesn’t mean I don’t love you, it just means I need to find myself.” Ho, like Duong, felt removed from her roots. “I feel like every Vietnamese-American can relate a little bit to the fact that sometimes they feel a little bit lost as to who they are, or maybe they’ve had experiences where they don’t want to acknowledge their Vietnamese identity,” Ho said. When Ho first moved to the U.S., her first name was “My,” which means “American” in Vietnamese. However, she added an “A” to her name after being bullied with mispronunciations of her Vietnamese name. For this new generation, survival may come at the cost of freedom to express traditional culture. Their ancestors rode boats into the night, blindly searching for rescue. Now, this new generation of Vietnamese-Americans, too, are looking for survival in their night. Being anything-American is difficult. Different cultures bring different values, different histories, different ways of living. For example, second-generation Vietnamese-Americans tend to hold more liberal values than those of the first generation. A Pew Research study demonstrates a smaller proportion, 12 percent, of Asian-Americans identify with the Republican Party in 2018 than in 1998, when 25 percent did. 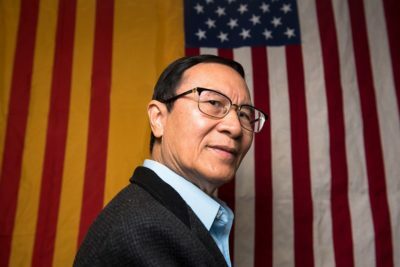 “Up through the ’80s and ’90s, the Republican Party’s stress on family values, on anticommunism, on capitalism, on small businesses, … these values struck a chord with Asian-American communities, which were coming from histories of struggles against communism, for example, and came here to pursue the American Dream,” Nguyen said. Thus, many young Vietnamese-Americans find themselves at odds with their parents due to tightly held political and social beliefs. For example, Ho supports the LGBTQ community, while her mother remains conservative on issues of sexuality and gender identity. Growing up in American society meant that many second-generation Vietnamese-Americans learned English as their first language, vanishing the language barrier previously separating first-generation Vietnamese refugees with American society. If they were lucky, their parents taught them Vietnamese. These differences come in culmination largely because the first and second generations grew up in different worlds. One world was destroyed by war, embedded with anticommunist sentiment and marred by homeland loss. The other is culturally fluid, raised in a nation that champions freedom. “(The second-generation) identity is very much American and it’s injected with this Asian-ness, which they share not just with Vietnamese people, but with Americans of other backgrounds. That issue of being born here and raised here makes a huge difference,” Nguyen said. It’s difficult to unite two worlds, and Nguyen said he doesn’t think that it’s possible. The forming of a rift between the two generations presents a new struggle for survival: one for the preservation of the Vietnamese identity. On the other hand, Chuc Bui believes that building a bridge of language can mend this generational gap – a walkway that ties these groups to each other. Ho is constantly working to reintegrate Vietnamese language back into her main cognitive practice. She said her Vietnamese fluency has decreased since moving to Los Angeles. After joining SEA CLEAR and learning about his Vietnamese community, Duong said he felt empowered to speak with his parents about their refugee experience. “They accepted that I was mature enough to understand the context of where they came from. And I never really felt Vietnamese before then,” Duong said. Nearly four decades separate Vietnamese refugees and the current, 21st-century Vietnamese-American. Although these two groups are very different, perhaps both generations should care less about what keeps them apart. Rather, they should find common ground in the struggles they can both understand – the struggle to survive. Dialogue fosters discussion. Vietnamese refugees endured days without knowing where their next meal would come from. 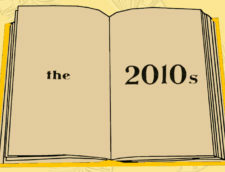 They grappled with the English language’s complexities, attempting to fit into American society. And although many Vietnamese-Americans are fortunate enough to live without poverty, their feeling of survival is spurred by a sense of being lost. Despite being born in different countries and eras, both generations engaged and continue to engage in survival. Survival is the state or fact of continuing to live or exist despite difficult circumstances. The first generation continued to live despite the battles they had faced financially and socially. The second generation continues to redefine their identity, keeping their Vietnamese roots alive. This common drive to carry on unites both generations. “Cái khó ló cái khôn.” Adversity is the mother of wisdom. In this case, survival enlightens the two eras. It is this wisdom that bridges the divide.